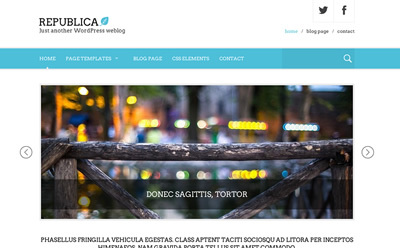 Republica is a clean and responsive theme with plenty of features. The theme can be used for lawyers, organizations and business websites. 100% responsive design that adapts well in mobile devices. Front page slideshow where you can include posts or pages. Featured posts or pages section in the front page.